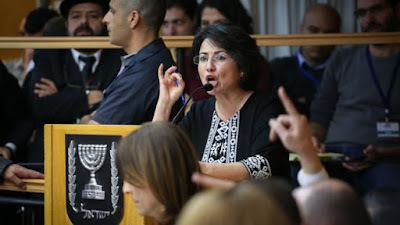 I’ve written before about the attacks of the Israeli state and politicians from all the Zionist parties – (with the partial exception of Meretz) on Haneen Zoabi, the incredibly brave Israeli Palestinian Member of the Knesset for Balad/Joint List. As readers of the blog will be aware from previous posts eg. 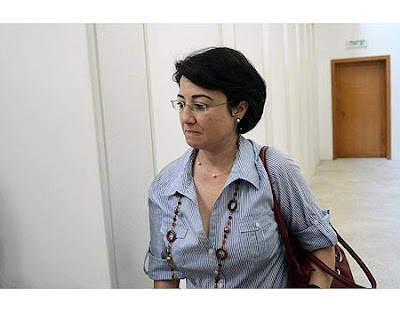 The Witchhunt Against Arab-Israeli Knesset Member Haneen Zoabi Haneen Zoabi is subject to what can only be called a lynch mob mentality inside the Knesset, Israel’s ‘parliament’ from Zionist MKs. The reflection of this attitude outside the Knesset is, not surprisingly even worse. If the campaign continues it can only be a matter of time before an attempt at assassination of Zoabi occurs. And if that takes place the responsibility will lie not just on Jewish Home (Habayit HeYehudi) or Likud but on the Israeli Labour Party/Zionist Union and Yesh Atid, the ‘moderate’ Zionist parties. Despite all their fulminations against Islam and Islamic fundamentalism, the Zionists demonstrate that what they really fear is Arab nationalism and secularism, not least a woman who isn’t the caricature female in a Burka but an unveiled woman from a Muslim background. As I’ve often documented on this blog, despite its attacks on Islam, Israel is most happy with Islamic fundamentalists and in spite of its rhetoric it played a key part in the foundation of Hamas. 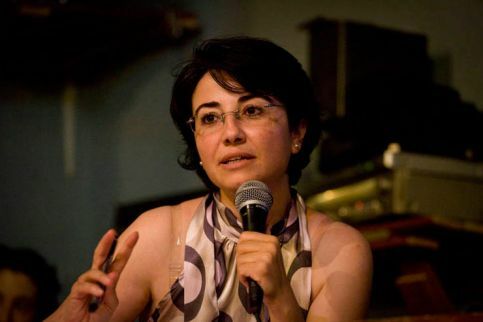 Haneen Zoabi first aroused the Zionist ire when she was a passenger on the Marvi Marmara, the ship that Israel attacked killing 10 people on the high seas as it tried to break the Gaza blockade. When she challenged the view that the killing of 3 settler youth last year was ‘terrorism’ as opposed to individual killings she was suspended for 6 months by the Knesset from effectively being an MK. When the ‘Justice’ Minister posted genocidal comments on her FB page calling for the murder of Palestinian mothers to stop them giving birth to ‘little Palestinian nakes’ there was no comeback. Israeli racism is acceptable, Palestinian opposition is always unacceptable. Below is an interesting article comparing the pogrom against Germany’s Jews in November 1938 to the attacks on Haneen Zoabi. Israeli Palestinian MK Haneen Zoabi is once again stirring up a hornet’s nest among Israeli Jews. For those not well versed in how she is perceived, imagine Malcolm X in the year or two before he died, when he was reviled by white America as a white-hating firebrand and inciter of racial violence. She has been threatened with death too many times to mention, including a Facebook group which put a bull’s-eye right above her forehead. Invited to address a Dutch Jewish leftist group, Platform Stop Racism and Exclusion, in Amsterdam on the anniversary of Kristallnacht, Zoabi took the opportunity to link the victimization of European Jews by the Nazis to the suffering of Palestinians under Occupation. Zionists insist they have a monopoly on suffering and the world’s sympathy and exploit the Holocaust regularly for this purpose. Having a Palestinian probe the issue and point out both the flaws in the argument and the implications racial hatred may have in today’s Israel-Palestine conflict is simply maddening. 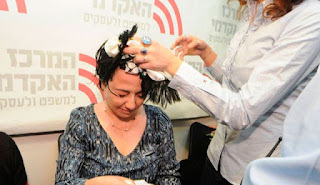 That is why Zoabi is not just vilified, but under constant police investigation and repeatedly scolded by her Knesset colleagues who strip her legislative privileges for her temerity. Another impact of her activism is to rebut the Likudist meme that Palestinians are the modern incarnation of Nazis (remember Bibi’s false claim that the Mufti told Hitler to “burn them”?). Zoabi, in effect, turns the tables and notes that it is the Israelis who are adopting many of the practices of the Nazis, if not yet the cardinal one of genocide. 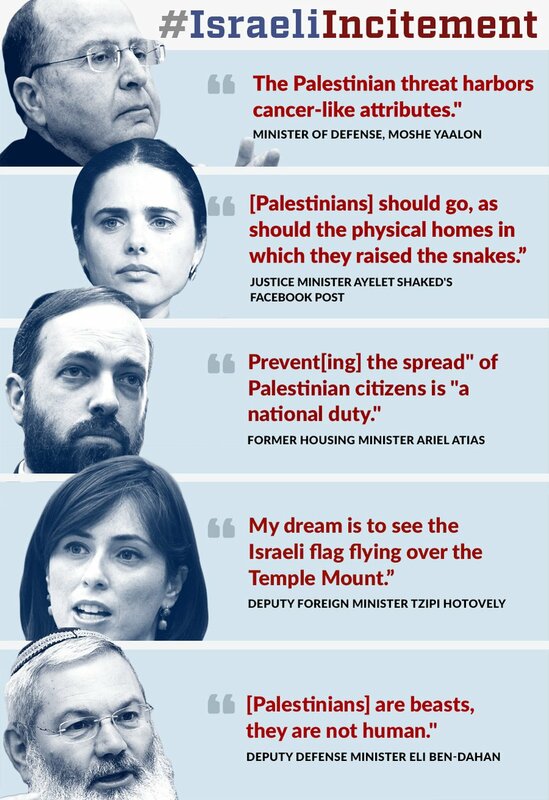 Do you understand that Israelis feel that you undermine the state? What do you think of the accusation that you are an anti-Semite? 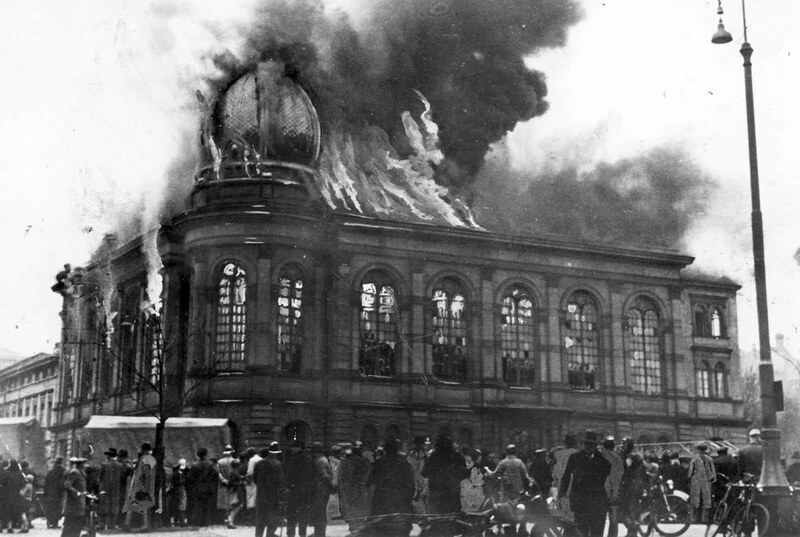 What does the commemoration of Kristallnacht for you personally? 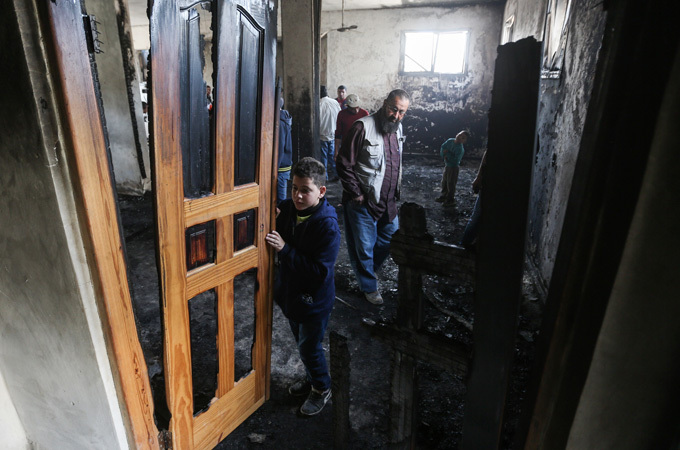 How do you explain the link between Kristallnacht and the situation in Israel and Palestine? A society doesn’t lose itself in a single day. For the Germans too it took time. We’re speaking of a long process of deterioration until the inevitable catastrophe. We [Israelis] are on the way there. The last remnants of what morality we had are breaking down, sinking into a mire of self-righteousness and victimhood. We’re turning our neighbors into sub-humans, murderous beasts: we must not buy from them, live next door to them, permit our daughters to be defiled by them. Most of all, we must “neutralize” them, destroy and plunder their homes, and deny them citizenship, which they only had on a conditional basis anyway. Israel is already deep into free-fall towards the abyss. Prime Minister Fascist-yahu is already dripping into our brain the new comparison: Palestinians=Nazis. MK Yinon Magal has lately been quoted telling us that the time has come to stop talking about a single Nakba , and start talking about future ones. A ‘Blue and White’ Kristallnacht is coming, it’s only a matter of time, don’t worry yourself. We’ve taken on a role much closer to the Nazis, the closing of the ultimate circle. …After the first Intifada, Rabin surrendered to terror and signed the disgusting, worthless Oslo Accord, the results of which we saw in the second Intifada and up till today. Before Oslo, most of the world was with us– [rejecting] this folly that there is a people here, a so-called Palestinian people–there is no such people and there will never be such a state–and we must hack away at this hope. The Palestinians must understand that in war, whoever waves a knife–we can say “Meet Comrade Machine-Gun and Comrade Bullet” [a reference to Haim Guri’s 1943 poem of revenge in which he introduces Zionist weapons as characters who offer revenge for the murder of Europe’s Jews]; that we can count not just Intifadas, but Nakbas [a reference to the two Intifadas and one 1948 Nakba]. Whoever starts a war runs the risk of paying a very heavy price. What interesting about the reference to the Guri poem is that it was written in 1943, both at the height of the Shoah in Europe and heightened confrontation between Palestinian and Jewish militias in Palestine. The “comrades” exact revenge not only against the Nazis who exterminated Jews, but also against the Palestinians for making it impossible to save more Jews in Palestine. Thus, Magal is closing a circle that Netanyahu began by linking the Nazis to the Palestinians. As far as Israeli politics is concerned, Netanyahu has almost become a figure of the past. A bridge between the Likudist past of Shamir and Begin and the future of who knows? The Magals, Hotovelys, Shakeds, and Yaalons are the Likud of the future (see JVP graphic #IsraeliIncitement). Magal has promised Palestinians a future Nakba. He’s laid out on a silver platter the future plans of the Jewish state to ethnically cleanse its non-Jewish population. This is the sort of moral abyss Blecherman refers to in his Facebook post. Anyone reading this who attempts to dismiss or minimize it, calling it rhetoric, is deluded. The assassination of Yitzhak Rabin began in just such incitement. Yinon Magal promises us a future Blue and White Kristallnacht, an Israeli Jewish version of the Third Kingdom, which we might just as well call the Third Reich. You’re seeking consolation perhaps? No, there may not be a Shoah. Small consolation. 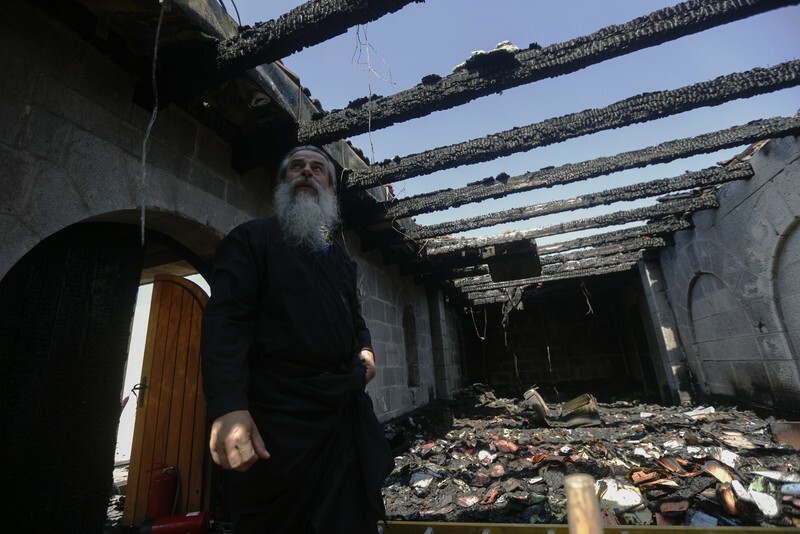 No ashes of Palestinian corpses flying up chimneys. Just an ethnic cleansing of a few hundred thousand or million Palestinians.